It was fantastic to see another one of my stories out there to be read this week. 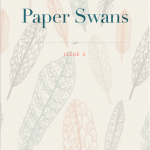 My flash fiction Quarry was included in the third Paperswans Ipamphlet along with some other great writers of both poetry and prose. This entry was posted in Uncategorized and tagged creative, flash fiction, journal, publications, writing on August 3, 2014 by pamjplumb. I am so delighted to have one of my own flash fictions (see Publications page) included in the Anthology and I am doubly delighted to have another flash (called Game Changer) published on the day itself, around 6pm BST. There will be new stories posted on the journal website throughout the day and the organisers are open for submissions until 19th June so please send in your entries. This entry was posted in Uncategorized and tagged flash stories, journal, National Flash Fiction Day, publications on June 16, 2014 by pamjplumb.